Transfer gossip reports everywhere have been scrambling to react to the news coming out of Bayern Munich that Robert Lewandowski has told the club via his agent, that he wants a new challenge and intends to leave this summer - according to SportBild (in German). The big question is now where will he end up if he gets his transfer wish? What Are The Odds looks at the Robert Lewandowski next club odds market via Paddy Power. Undoubtedly at the age of 29, Robert Lewandowski is either angling for one potentially last big contract from Bayern Munich or a move to another European giant where silverware is a possibility, so it’s no surprise to see a club like Real Madrid as the current favourite to sign the Polish international next. Favourable odds of 7/5 (2.40) aren’t surprising given the long-standing interest from both sides to get this deal done. However, the feeling after Bayern lost to Real in the Champions League this season was that interest cooled after Lewandowski’s sub-par performances against the eventual winners. Would Madrid want to sell Karim Benzema? The Frenchman plays in the one striker system Zinedine Zidane favours, so it would appear to be a case of if he stays then Lewandowski won’t be heading to the Bernabeu. Manchester United are the top Premier League club, despite having Romelu Lukaku, Marcus Rashford and Alexis Sanchez in attack. Paddy Power are offering a price of 7/2 (4.50) - Jose Mourinho will know if his side are to get closer to rivals City he will need to add real class to his already expensively assembled squad, and as such a move for the Pole might just be on. 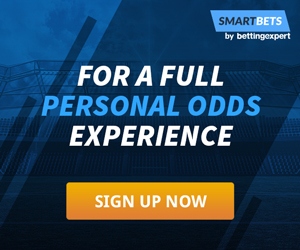 Chelsea would make the most sense at 15/2 (8.50), considering Alvaro Morata’s unspectacular debut season in west London, and talk of the club targeting another striker in the summer transfer window. Targets such as Mauro Icardi and Gonzalo Higuain have been names thrown around, but if Lewandowski is truly ‘available’ it would be no surprise to see the Blues throw their attention to Bayern’s star goalscorer. The stumbling point though would be that Chelsea can only offer Europa League football next season. Former club Dortmund are big outsiders at 33/1 (34.0), while former boss Pep Guardiola’s Manchester City are also backed with the same 33/1 (34.0) odds.